Have you read the book How To Win Friends And Influence People by Dale Carnegie? The title is a little over-the-top, but the facts remain the same: Only when you are able to become an influencer, can you not only sell yourself but the product as well. Dale Carnegie was a man of humble beginnings. Yet decades after his death, his work and the organizations he set up are still running with unbelievable success. How come? Because he learnt the art of being a perfect salesperson at all times in his life. His prolific work has ignited many a light bulb all around the world and those who follow his advice are bound to be successful people-persons. One of the perfect examples of the result of following his advice comes from none other than Warren Buffet. Read this detailed article about how the billionaire investor’s mind was first opened up at age 8 or 9 and forever changed the way he thought about selling himself, his ideas and ultimately his business wizardry. WIN FRIENDS AND INFLUENCE PEOPLE: First, read the book! In order to sell, you need to first be a good salesperson. Remember the phrase: the first impression is the last impression? Well, that is absolutely right! Your prospective customer does not know your product without first knowing you. You need to first buy their attention in order to then get them to buy your commodity. GET TO KNOW YOUR CUSTOMER: One of the most annoying things about salespersons and their pitches is that they don’t first size up the customer. They just start talking and do not determine first if the customer will benefit from their product or not. All they have in their head is that they need to make such-and-such number of sales and then proceed to achieve that. Being able to meet your targets are great, but what you are looking for are loyal customers that will not only stick to your company, but promote it themselves through word of mouth. Get to know your customer before your customer learns about your product. SPEAK IN QUESTIONS: Communication is actually a two-way road. The minute there is a break in this form, communication fails. Yes, you need to enlighten your customer about all the great features your product has, but at the same time you need feedback from them. Have you ever been in a situation where the other person droned on and on and you eventually zoned out? This happens with sales as well. The best way to ensure your customer’s attention is to ask them questions. This way you know they are keeping up to what you’re saying and also give them the space to speak out. BE PASSIONATE: Would you buy your own product? Before you sell to others, you need to sell to yourself. The most successful salespeople are those that have a genuine passion for what they are promoted. They study their product and know the inside-out of it. They are also aware of the pros and cons and are not afraid to acknowledge them. The energy that you have will ultimately rub off onto your customer, so you want to be as enthusiastic and passionate as you probably can be. LISTEN MORE THAN SPEAKING: They say that speech is silver but silence is golden. There is a reason for this. All the great, wise people of the world have one thing in common: they listen more than they speak. Yes, you may have the knowledge and the unquestionable force to get your word out, but when it comes to someone as important as your customer, you want to listen first to what they have to say. Everyone wants to be acknowledged and by giving your client the chance to be heard, you are earning those extra points. Once they are done, they will be sure to give you a chance to speak next. Also, what they have to say can prove to be vital feedback that you can learn from. 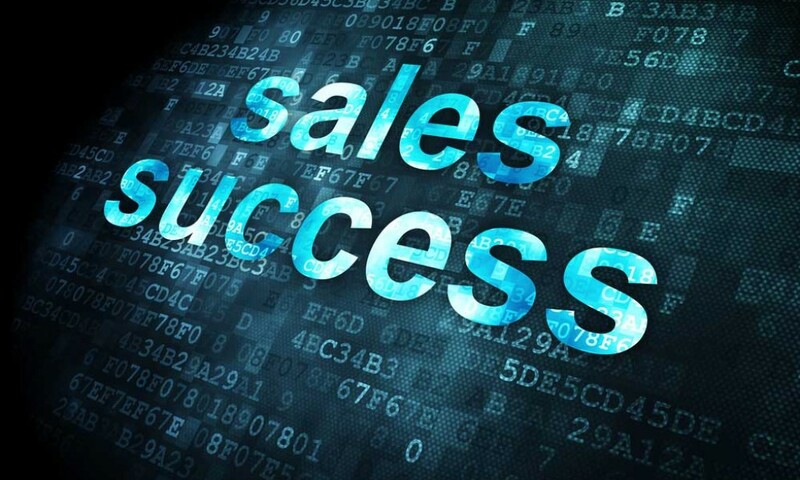 Read this article from Entrepreneur about The 10 Laws of Sales Success. Liked this article about Secrets to Success In Sales and have your own ideas to share? Comment below and don’t forget to Share this article!